Enter your first name and email to receive your free guide! Hey there! 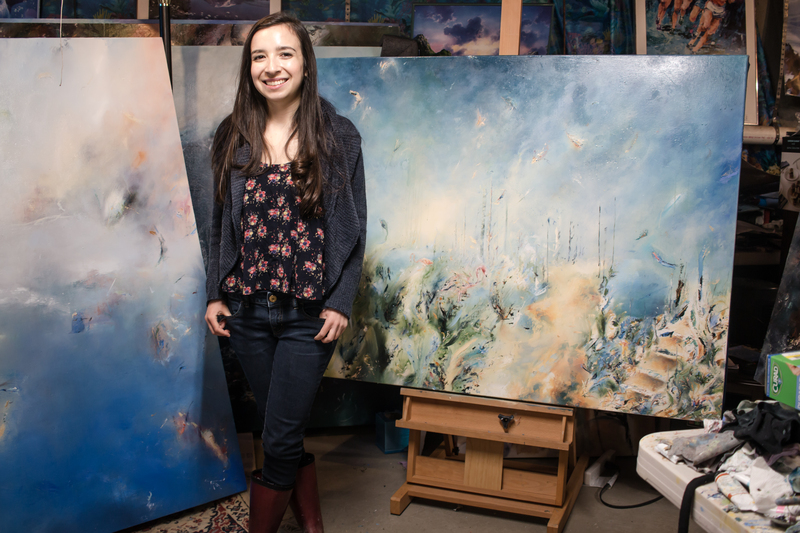 My name is Samantha Kaplan and I am an abstract landscape painter who strives to create paintings that celebrate the life and beauty that exists on our planet. Through my work, it is my mission to inspire people to appreciate and take initiatives to protect the amazing planet that we live on. I hope this guide helps you find the perfect artwork for your home or office! One More Step. 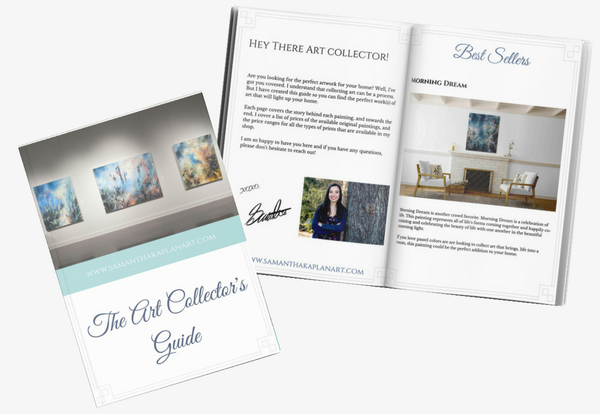 . .
Go Check Your inbox and Confirm Your Subscription so you can receive your free Art Collector's Guide!! And then come and say hi on Facebook and Instagram!